is a staple of community and quality coffee. 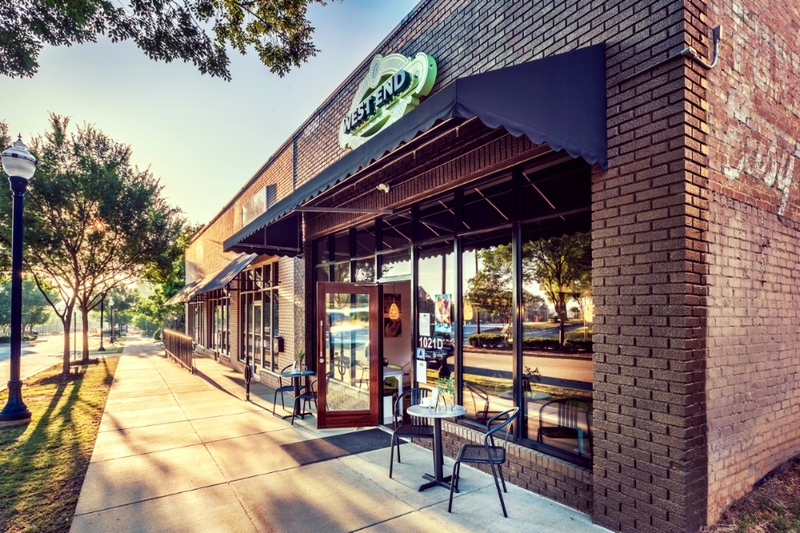 West End Coffee Shoppe opened in 2016 and is located on the south end of Main Street in downtown Greenville, South Carolina. Since then, we have been brewing and serving high quality coffees, pastries, breakfast sandwiches and more. 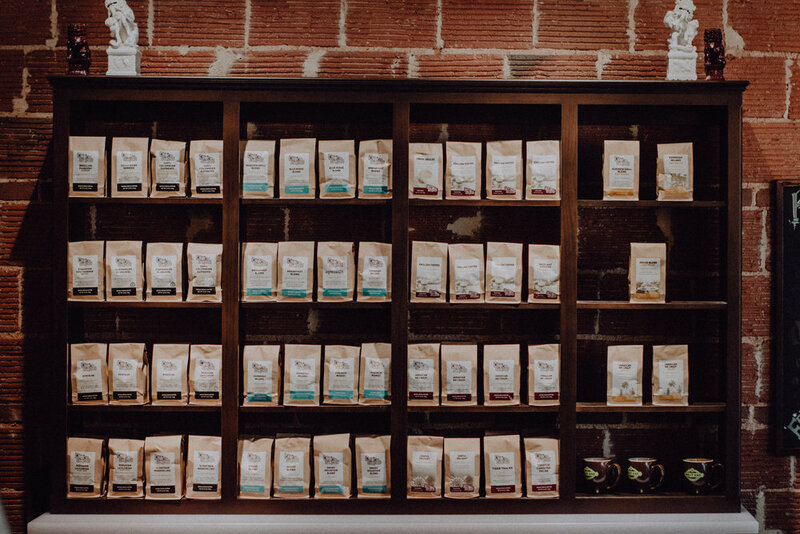 We also offer a large selection of artisan-roasted coffee beans from our parent company, West End Coffee Roasters. 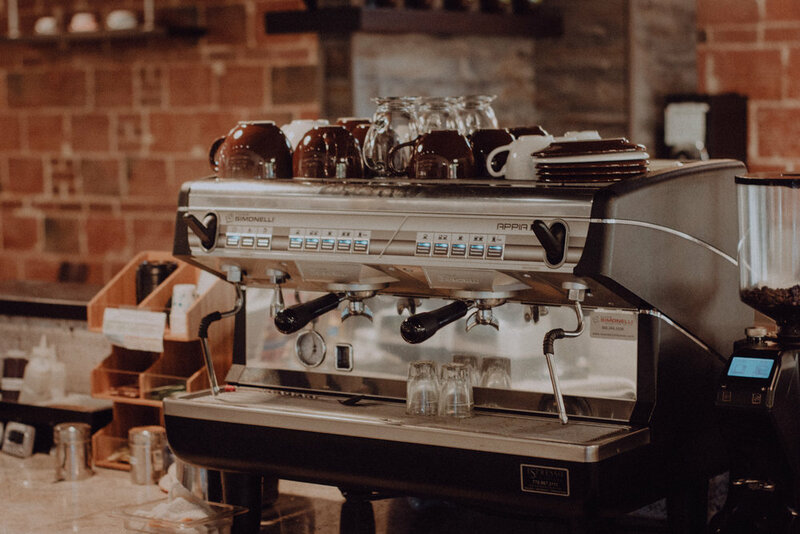 West End Coffee Shoppe's interior reflects the professional sensibilities of the surrounding area while also paying tribute to Greenville's vivid past. The exposed brick walls and concrete floor mirror the mill era of old, while large windows at the front of the shop offer the choice to observe passers-by and enjoy plenty of natural light. We offer the perfect setting for your next business or group meeting. Come and relax with the perfect cup of coffee made to your order. It’s the perfect neighborhood gathering spot. Dark Chocolate, Vanilla, & Steamed Milk Topped with Whipped Cream & Dark Chocolate Sauce Drizzle. (Also Available in White Chocolate). 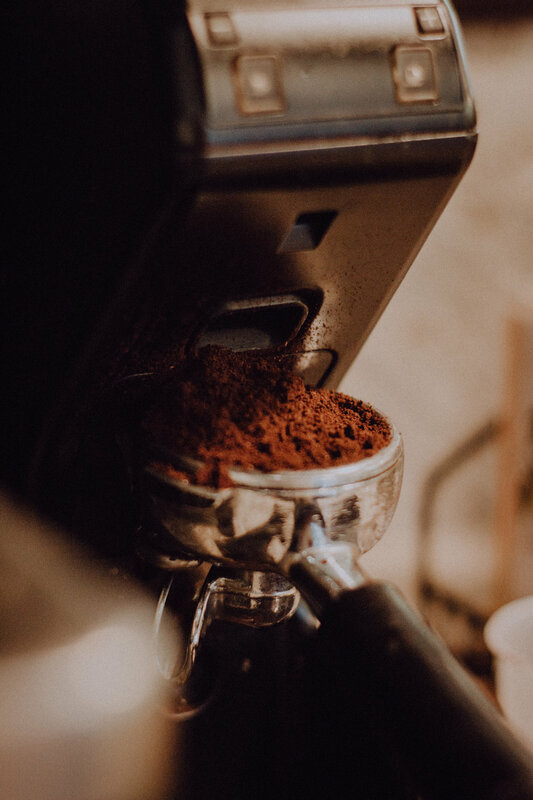 At West End Coffee Shoppe we offer a large selection of our premium, small batch, artisan-roasted beans delivered weekly from our roasting facility located here in Greenville, SC. You can stop in and purchase as many as you need and we can grind them fresh for you for any style coffee brewer. You may also order online and take advantage of our FRESH JO Coffee Club that offers a 10% discount on your order just for signing up. We look forward to hearing from you. Please submit your question or comment in the form and we will respond in 24-36 hours. Thank you for your interest in West End Coffee Shoppe.